We can do many mistakes while we are beginning to use applications. Especially when we do mistakes for permissions, apps can be almost useless at all. If you just start to use WhatsApp and if you want to know about the best settings of the application, you will find the information on here. These tips are for only iPhone and iPad devices. If you have any questions please don’t hesitate to ask us. We will tell you settings of the WhatsApp in three different steps below. These steps are: phone settings, settings in application and permission of the application. You can ask us anything about this tutorial if you have any question on your mind. These settings can be different for some iOS devices but almost same for all. Now phone settings of WhatsApp are appeared on your page. You should enable these services for using WhatsApp with full performance. 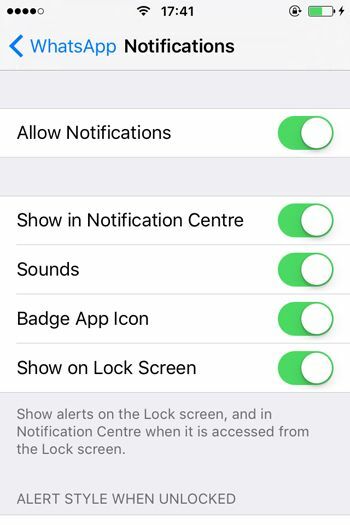 Ensure that you have enabled notifications. Enable show in notification centre. Sounds and Badge App Icon are options. Show on Lock Screen setting is depend on what you are talking on your messenger. If you are talking something special, you can disable this feature. However don’t forget that you won’t see any notifications from WhatsApp when your Phone is locked. Now you are in application settings page. 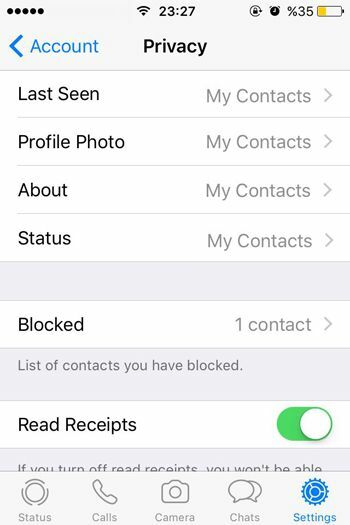 We recommend you to set all options on here for your contacts and ensure that Read Receipts is enabled. If you want to hide on WhatsApp, you can read our guide about that on How to Chat Online. Message Notifications and WhatsApp Calling is good when they are enabled. Don’t forget to assign a sound it though. We recommend you to disable group notifications if you have large groups. Sounds and Vibrate will be good when they are enabled. Banners also will be a good choice for you. If your mobile network is providing cheap mobile internet connection to you, you can prefer to download pictures through Wifi and Cellular connections. Rest of the connections can be Wi-Fi. That’s all! 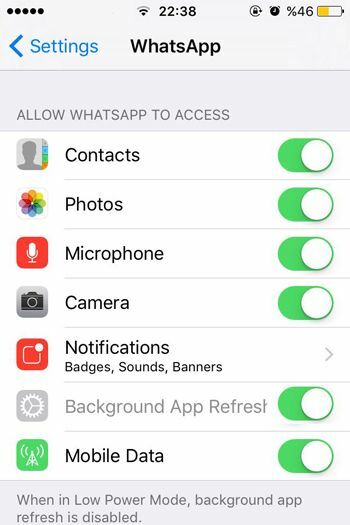 We recommend these settings for you on WhatsApp. We also recommend you to check status privacy settings with clicking here. You can also see tips for improving video chat quality on WhatsApp in our tutorials.